They don't come any tougher than this. 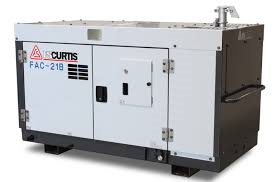 Made in Japan using only quality components, the FS Curtis range of portable diesel screw compressors have proven themselves in the Australian market. 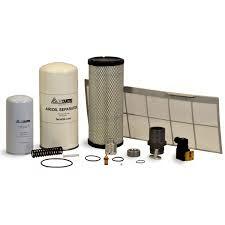 Used and specified in the mining industry you can be sure that the quality, performance and reliability is there. They are available with an after cooler as an option as well as mine spec fit outs and feature extra large diesel tanks. They come with either Mitsubishi, Isuzu, Yanmar or Shibaura diesel engines (size dependant). 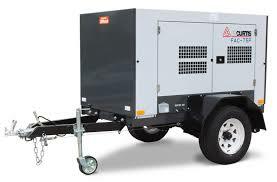 Ranging from 1600l/min to 36 000 l/min there is a rugged FS Curtis compressor to suit your tough requirements. Trailers assembled in Australia to comply with Australian Design Rules these portable units are easy to tow when you need air on the go. Suitable for mounting on the back of your truck or left on site as a backup machine. When you need your Diesel compressor to stay at its optimum performance, insist on using genuine parts. Australia wide shipping available.